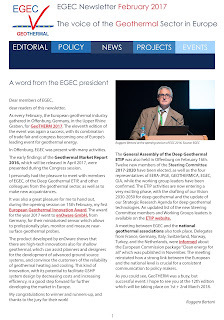 The February issue of the EGEC Newsletter is now available. Geoscience BC is pleased to announce the release of a new report highlighting additional educational and community engagement work undertaken following the release of the Direct-Use Geothermal Roadmap in June 2016 (Geoscience BC Report 2016-07). The original report contained practical guidelines for communities on geothermal surface exploration, land acquisition and permitting, drilling and testing wells required for the design and development of direct-use geothermal resources in BC. The release of this new report coincides with a BC Economic Development Division webinar "Geothermal: Heating up Rural Economic Development" being held this afternoon. The Direct-use Geothermal Resources in British Columbia project was jointly funded by Geoscience BC and the BC government's ICE Fund. The report is now available through Geoscience BC's website or our Earth Science Viewer. In Nicaragua, geothermal power provides attractive tax incentives based on Act 443, "Law on the Exploration and Exploitation of Geothermal Resources" and any amendments thereto, published on November 17, 2014. Exoneration of customs duties and VAT on machinery, equipment, and materials for works construction. Exoneration of the payment of income tax for a 10-year period following the commencement of the project's commercial operations. Exoneration of payment of municipal income tax (IMI) for a 5-year period following commencement of the project's operations. A key aspect to be noted is that ENEL (Empresa Nicaragüense de Electricidad), a state-owned company for power development, should own at least a 10% equity interest in the specific geothermal exploitation project and must have a seat at the Board of Directors with right to speak and vote in the company that was granted the exploitation concession. On the other hand, the remaining 90% equity interest must be owned by the specific domestic or foreign investor for up to a 30-year exploitation concession period following the execution of the exploitation agreement. France-based company Cryostar has built a 13 MW ORC turbo-generator which is now in commercial service. The product was designed to be integrated into a heat-to-electricity conversion process known as the ‘Organic Rankine cycle’. The turbine expands R134A refrigerant fluid. The process was developed by the American company TAS Energy and uses a geothermal heat source to produce electricity transferred for transmission to the grid. The geothermal power station located in Turkey is operated by Zorlu. The TG800 turbines range was designed to develop up to 19 MW of power, it includes an 800mm titanium wheel and is a radial centripetal turbine with variable blading. This technology makes it possible to optimise the machine’s output for an extended operating range, which is the best solution to maximise annual electricity production. Hörður Arnarson, CEO: “Landsvirkjun’s earnings in the year 2016 are acceptable despite a decrease year over year. External conditions were not favourable in the year 2016. Aluminium prices continued to be low despite moving higher in the second half of the year. Our revenues are still in some part connected to aluminium prices. Consolidated Financial Statements for the year ended December 31, 2016 of HS Orka hf. were approved at a Board of Directors meeting on 27 February 2017. Net profit for the year was ISK 3,104 million, up from a net loss of ISK 247 million in 2015, with the movement predominantly due to non-cash gains in the year. Operating revenue was ISK 7,099 million against 7,343 million in 2015, with the decrease primarily due to a reduction in aluminum based sales (as a result of a decline in aluminum prices in 2016) plus a decrease in the sale of geothermal water due to unusually warm weather in 2016. Production cost increased by 13% to ISK 3,671 million in 2016 mostly because of an increase in power purchases and a rise in depreciation derived from the revaluation of the Svartsengi Power Plant at year-end 2015. Research and development costs were higher in 2016 due to the deep drilling program at Reykjanes. Mitsubishi Hitachi Power Systems (MHPS) has secured a contract to deliver two sets of geothermal power generation equipment for the Olkaria V Geothermal Power Plant in Kenya. The order includes supply of two 70 MW class steam turbines, condensers, generators and other key auxiliaries. As part of the contract, MHPS will also be responsible for the design aspects of the geothermal facilities. The new geothermal plant is slated to be commissioned in 2019. Mitsubishi Hitachi Power Systems will be exhibiting at the GRC Annual Meeting & GEA GeoExpo+, October 1-4 in Salt Lake City, Utah, USA. Power producer Kenya Electricity Generating Company (KenGen) has begun the search for the replacement of outgoing chief executive Albert Mugo. The company, which generates about 80 per cent of electricity consumed in Kenya, said the new chief executive would assume office in August this year. This means Eng Mugo’s one-year extension could be cut to eight months. Under Mugo, KenGen has substantially grown electricity generation through geothermal and has overseen the growth of the firm’s installed capacity from about 1,200 megawatts when he took to the current 1,630 MW. KenGen has procured the services of consultancy firm PKF to undertake the recruitment of the new CEO. Deep within the bowels of Nevada, a mineral found in the underground brines represents a potential growth industry for the Silver State. Lithium, used in car batteries, ceramics and even anti-depressant medications, is mined in one place in the U.S.: Nevada. State mining regulators are working on Assembly Bill 52, which would create a framework for lithium mining and exploration in Nevada. State officials say it would add clarity to a system that requires explorers to rely on water well regulations and waivers to sample brines for lithium from drilled wells. It comes amid an increased demand for lithium with the arrival of the Tesla gigafactory, which makes car batteries east of Reno, and Faraday Future, an electric car maker that has announced plans for a plant in North Las Vegas. 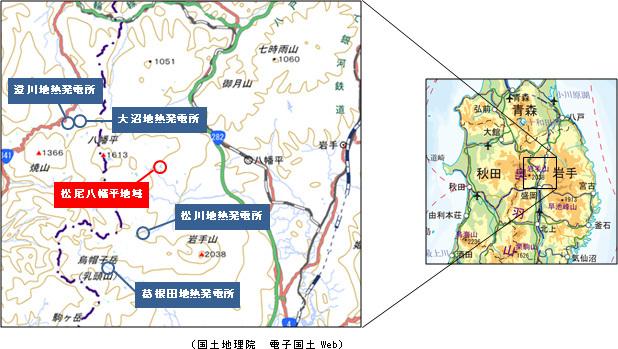 Mitsui & Co., Ltd. is engaged in a geothermal resource exploration project in the Matsuo-Hachimantai area of Iwate Prefecture through Iwate Geothermal Power Co., Ltd., in which Mitsui Oil Exploration Co., Ltd. holds a 28.86% stake. This project has now been selected for a liability guarantee by Japan Oil, Gas and Metals National Corporation (JOGMEC), which covers finance raised for future development activities. As a result of this decision, Mitsui will proceed with this project toward the commercialization of a 7 MW geothermal power generation scheme in collaboration with the other shareholders of Iwate Geothermal. Iran’s energy minister announced that Italy has opened a Line of Credit (LOC) for its firms to make investment in Iran’s water and electricity industries. Speaking at a joint session with the Italian Minister of the Environment Gian Luca Galletti, Iran’s Energy Minister Hamid Chitchian said that Enel has built the equipment for Iran’s first geothermal power house which will be installed soon. At the end of the session, the two sides agreed on preparing a joint Memorandum of Understanding (MoU) on venues of cooperation between Iran and Italy in the utility sector. in the northwest of the country at a height of 3,000 meters on Mount Sabalan. 11 wells have been drilled with a capacity of 55 MW. The Geysers, situated in the Mayacamas Mountains, is the largest geothermal electrical operation in the world. The first exploratory well was drilled there in 1920, with the first modern well being drilled in 1955. In 1960 the first commercial geothermal electricity production began. Since the first production well, there have been 400 geothermal wells drilled and 28 power plants in use. The height of The Geysers geothermal production was in 1987. Throughout The Geysers’ long history, many power plants have consolidated, and now Calpine has 13 power plants which provide 350 jobs. The Geysers produces 21 percent of California's renewable energy, and about 60 percent of the electricity needed from San Francisco's Golden Gate Bridge all the way to Oregon. Japanese companies are building small-scale geothermal power plants that can be completed in half the time needed for larger facilities, thanks to a more generous feed-in tariff that has made such projects more profitable. A joint venture by JFE Engineering, Mitsui Oil Exploration, the government-backed Japan Oil, Gas and Metals National Corp., and Japan Metals & Chemicals will break ground on a roughly 7 MW geothermal plant in Iwate Prefecture next month. The facility, expected to cost 8.5 billion yen ($75.8 million), is slated to begin operation in 2018. Leasing company Orix will sign an agreement soon to build a 4.4 MW plant on the island of Hachijojima, which has been seeking a partner to replace an aging Tokyo Electric Power Co. Holdings facility. Orix plans to invest about 5 billion yen in the project, aiming to bring the plant online around 2022. 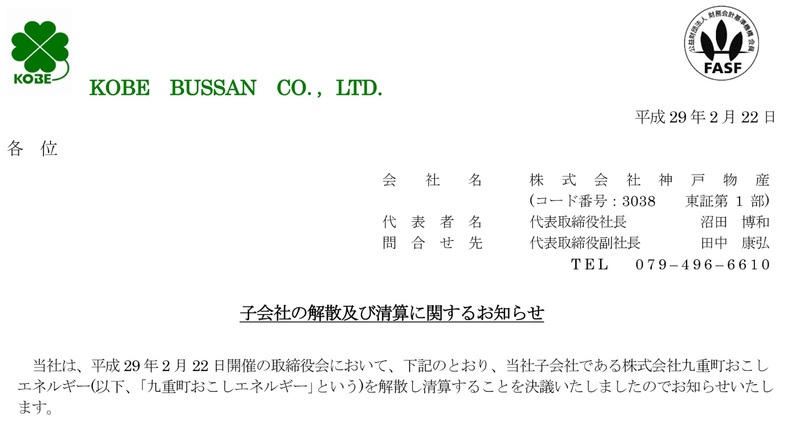 Oil company Idemitsu Kosan will start up a 5 MW facility in Oita Prefecture next month. A consortium including Electric Power Development, or J-Power, is working on Japan's first large-scale geothermal plant in 23 years: a roughly 42 MW facility in Akita Prefecture slated to go online in 2019. Other proposals for larger projects remain bogged down in environmental studies or other preparations. Chinese state-run energy giant Sinopec has drilled hundreds of wells across the country without finding a single drop of oil. But that was precisely the point: instead of black gold, the almost mile deep holes are providing clean heat for local homes. While 2/3 of China's electricity is generated by coal, almost all of the homes in northern Hebei province's Xiong district – home to 400,000 people – are heated by wells as deep as 1,500 meters (5,000 feet). Sinopec's geothermal projects in China make up for more than 40% of the total number of homes heated by geothermal energy in the country, making them a potential model for how it can tap this resource. The Energy and Mineral Resources Ministry is targeting to have four new geothermal power plants operating this year. The four new plants will have a combined capacity of 215 MW, and raise Indonesia's installed geothermal capacity to 1,858 MW. Indonesia has 29,000 MW of geothermal potential. 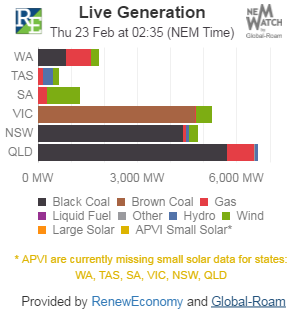 To date, only 1,643 MW has been utilized. Government Regulation No.79/2014 on the National Energy Policy mandates a new renewable energy mix portion of 7,200 MW by 2025. Geothermal Development Facility (GDF) for Latin America has announced the impending deadline for its first round of Expressions of Interest (EOI). Applications will be accepted until Tuesday, February 28th, 2017. The 1st EOI will allow interested applicants to submit a proposal for surface study funding up to €600,000 and contingency drilling grants up to €5.8 million. The ten eligible Latin American countries are: Bolivia, Chile, Colombia, Costa Rica, Ecuador, El Salvador, Guatemala, Honduras, Nicaragua, and Perú. EOIs will be accepted between January 15th and February 28th, 2017. Please note that you must complete the sign-up survey before you can be invited to complete an EOI. Thousands of residents in Karanganyar regency, Central Java, rejected the government's plan to begin geothermal exploration at Mt. Lawu, citing environmental reasons. Maryono, a village figure in Karanganyar, said he was concerned about the project's potential effects on the water supply. He was also worried that various aspects of cultural heritage would be compromised at the mountain, where ancient Hindu temples are located. Last year, PT Pertamina Geothermal Energy (PGE) won the contract to conduct geothermal exploration for a power plant that was expected to generate 165 megawatts of electricity. The GRC has contracted with the hotels for a discounted block of rooms for a limited time. There is a choice of rooms with either two double beds or a king bed starting at $145 a night excluding taxes and fees. We strongly recommend making your hotel reservations on-line through dedicated web pages. The preferred rate is automatically applied. 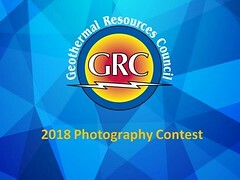 If you need to make your reservations over the phone make sure you mention you are part of the Geothermal Resources Council/ Geothermal Energy Association group to get the special rate. HyperSciences, a startup that uses rockets to drill for geothermal energy, has raised $690,000 of a $1 million funding round. The fresh cash comes from Washington Research Foundation, Kick-Start II, Cowles Company and The Toolbox, HyperSciences CEO Mark Russell confirmed on Friday. The Spokane, Wash. startup is designing new drilling methods to make it more cost-effective to access geothermal energy. It will use the funding to continue development of its HyperDrill and HyperBreaker tunneling machine prototypes, in addition to testing its ThermoElectric Generator (TEG) technology. Silicon Valley Clean Energy (SVCE) is headed by Tom Habashi, who has worked for municipal utilities in Burbank, Palo Alto and Roseville. Elected officials from the 12 communities served sit on the agency’s board of directors. Members are Cupertino, Los Gatos, Campbell, Monte Sereno, Saratoga, Sunnyvale, unincorporated Santa Clara County, Gilroy, Los Altos, Los Altos Hills, Morgan Hill and Mountain View. SVCE will purchase renewable or low greenhouse gas-emitting energy—comprised of a mix of wind, solar, geothermal, hydropower, landfill gas and biomass— at competitive rates from suppliers, who will then deliver it through PG&E transmission lines. While the majority of the facilities are in the Pacific Northwest, including Washington, British Columbia and California, one hydroelectric power plant is in Idaho. Community Choice Aggregation in California - An Opportunity for the Geothermal Industry [July/August 2016 GRC Bulletin] by Paul Brophy, Past-President, Geothermal Resources Council, and Vice-Chair, Business Operations Committee, Sonoma Clean Power. Geothermal energy harnesses natural heat stored within the Earth to provide constant energy sources that reduce or eliminate the use of conventional fossil fuels. The South West of England has long been known to have the potential to provide the highest underground temperatures at moderate depths and the best opportunity for power generation systems in the UK. Dr Tony Batchelor, from GeoScience Limited, will set out the future of geothermal energy, particularly looking at the capacity and scope for the technology, and present the latest news on plans to develop - with partners Geothermal Engineering Limited - the first commercial geothermal power project near Redruth in Cornwall. Come and hear how Cornwall’s hot rocks might re-energise the South West! 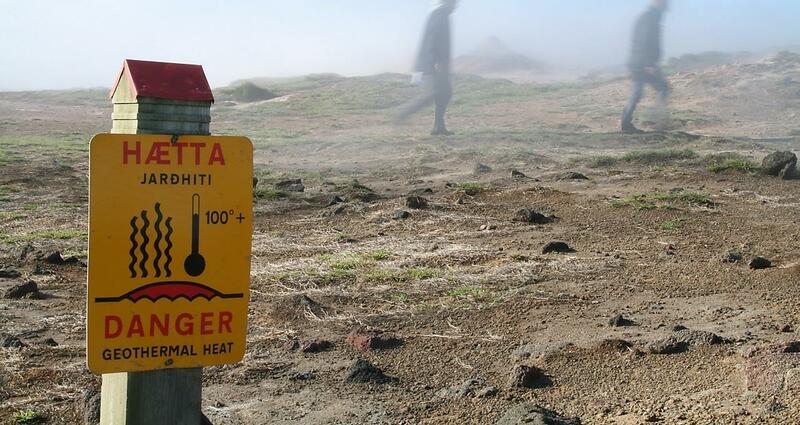 Barriers exist to truly tapping into the potential of geothermal energy but if harnessed correctly could make a significant contribution to reducing our energy demand and increasing generation. 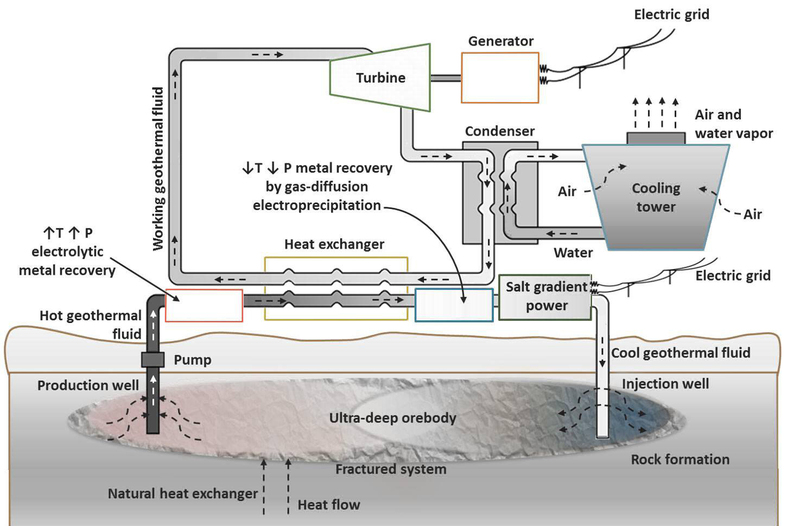 Science & Technology: An “Orebody-Enhanced Geothermal System"
CHPM2030 is a 42-months H2020 project funded by the European Commission that started on 1 January 2016. 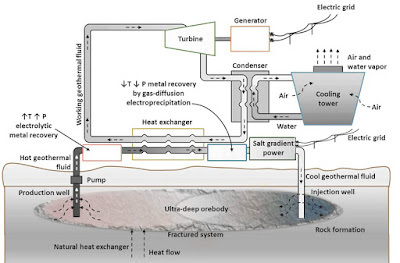 Working at the frontiers of geothermal resources development, minerals extraction and electro-metallurgy the project aims at converting ultra-deep metallic mineral formations into an “orebody-Enhanced Geothermal Systems (EGS)” that will serve as a basis for the development of a new type of facility for “Combined Heat, Power and Metal Extraction” (CHPM). In the envisioned technology the metal-bearing geological formation will be manipulated in a way that the co-production of energy and metals will be possible, and may be optimised according to the market demands at any given moment in the future. Maasai elders, who for two months have opposed KenGen’s multibillion-shilling geothermal projects in and around Olkaria in Naivasha, now support them. After many demonstrations and finger-pointing, the elders have backed the Stakeholders’ Coordination Committee that will oversee the work. Last week, the elders said they will end the differences between two rival groups over control of the committee.Their spokesman Lila ole Mututwa said the committee in charge of the new 260 MW geothermal project has the interests of the community at heart. Deadline to submit Applications: March 10, 2017, by 5:00 p.m. This proposed geothermal project will be implemented by Dirección General de Desarrollo de la Comunidad (DGDC) under the guidance of external advisors and through the appointment of suitably qualified contractors. This Project Manager will play a key role in the delivery of the project, initially supporting the establishment of the company, whilst concurrently leading project implementation. We are looking for an experienced Project Manager who will support the DGDC Project Executive and DGDC staff during the company establishment, and to create an effective working project company with appropriate systems and structure. The Project Manager will also act as one of the key senior officers of DGDC, alongside the CEO, and take the lead when working with technical and other consultants to ensure this project meets good industry practice and international standards. The Society of Petroleum Engineers (SPE) and the Geothermal Resources Council (GRC) have teamed up to develop a joint workshop bringing together researchers, engineers, and field technicians concerned with Upstream E&P, Corrosion and Scaling, and Geothermal Energy. Exploring themes common to these related fields through case studies and applications, this event hopes to improve the ability to develop downhole resources safely and efficiently. Vietnam wishes to collaborate with Iceland in developing clean energies and receive technical support and experience sharing from the country in the field, said Deputy Prime Minister Hoang Trung Hai. Stressing great potential for cooperation between businesses of both sides in this realm, Hai stated that Iceland’s help will enable Vietnam to meet requirements for both rapid growth and sustainable development as well as emission reduction. According to the Government official, in the future, the country will focus on the harmonious development of energy resources by building a number of power plants using renewable sources such as wind, solar and geothermal and reducing the use of fossil sources. For his part, Iceland’s President Olafur Rangnar Grimsson said his country is keen on developing geothermal sources for daily use and production, he said, adding that clean energy will help improve people’s living conditions as well as serve as a condition for effective and sustainable economic development. CleanCarbon Energy Inc., a Calgary-based company engaged in sustainable energy technology commercialization, has reached an agreement in principle with Western Research Institute (WRI) to jointly develop a family of carbon dioxide (CO2) to energy conversion processes. In the agreement, WRI will receive an equity stake in CleanCarbon in return for an exclusive international license to WRI’s Chemolithoautotrophic (CAT™) technology. Leveraging the technologies of both organizations, the WRI and CleanCarbon integrated research program aims to commercialize a new pathway for inexpensive, carbon-balanced sources of energy and hydrocarbon products with the least-possible fresh water and surface footprint requirement. CleanCarbon’s Downhole Flex-Fuel Gasifier technology provides a low capital and operating cost solution to convert feedstocks of biomass and coal to Syngas which is rich in hydrogen and sequestered carbon. By utilizing geothermal energy in the Earth’s subsurface, the CleanCarbon and WRI technologies combine to convert CO2 first to biomass and then to Syngas. The geothermal utility option was a selling point for Faith Osgard and her husband when they bought their house in the Warren Estates community about 10 years ago. Some homeowners in South Reno like the utility because it's sustainable. Osgard said, "It's basically a hot water system that goes in a closed loop around the neighborhood so it's totally, totally green." But others love the price. Most residents pay a flat rate of $85 a month for heating and hot water. "It has become increasingly costly to operate and maintain the system," an attorney representing Nevada Geothermal said, adding that the system is getting old and needs to be rehabilitated. Nevada Geothermal is holding a community information session at the South Valleys Library on March 8 at 6 p.m.
An investment of ISK 13 billion (USD 119 million, EUR 112 million) will be needed to ensure adequate steam for Hellisheiði Geothermal Plant, RÚV reports. After the plant entered full operation in September of 2011, it became apparent that the production area used at the time would not be sufficient for full operation indefinitely. In 2013, the decision was made to connect the Hverahlíðarsvæði area to Hellisheiði Geothermal Plant in order to obtain more steam and spread out the production. That connection was made at the beginning of 2016, after which it became possible to reduce production in older areas closer to the Hellisheiði plant, giving them a chance to recover. In the next ten years, 15 new boreholes are planned to maintain the production capability of the Hellisheiði plant. Power producer Kenya Electricity Generating Company (KenGen) is has entered into a deal that could see it completed the sale of the 4.4 billion shares that were on offer during its rights issue offer in 2016. This after South African pension fund, Public Investment Corporation entered into talks with KenGen to buy the remaining 351.2 million shares that were not taken up during the offer. The deal is valued at Sh2.3 billion, meaning KenGen has hit its initial target to raise Sh28.7 billion. KenGen had indicated it planned to spend Sh20.1 billion to pay off its expensive debt while the remaining Sh8.6 billion would be sunk into its ongoing projects including developing the Olkaria geothermal fields. The Geothermal Project Management short course has been specifically designed for the Short Term Training Scholarship scheme in conjunction with the New Zealand Aid Programme. It has been designed to provide short term training to meet identified needs in Indonesia and the Philippines. The course will provide participants with a broad understanding of the full set of issues involved in taking a geothermal project from initial exploration to power plant construction, and electricity sales. Modern project management techniques will be presented, as well as their application to the geothermal environment. On this course participants will learn best practice along with applied practical knowledge specific to the ASEAN geothermal landscape. This is a 4-week (continuous) residential course to be held in Auckland, New Zealand. Along with classroom teaching, the course also includes a Field Trip to a Central North Island geothermal power plant. Fayetteville-based Ozark Integrated Circuits (Ozark IC) won a $155,000 Small Business Innovation Research award from the Department of Energy to provide an enhanced solution for geothermal well data collection. 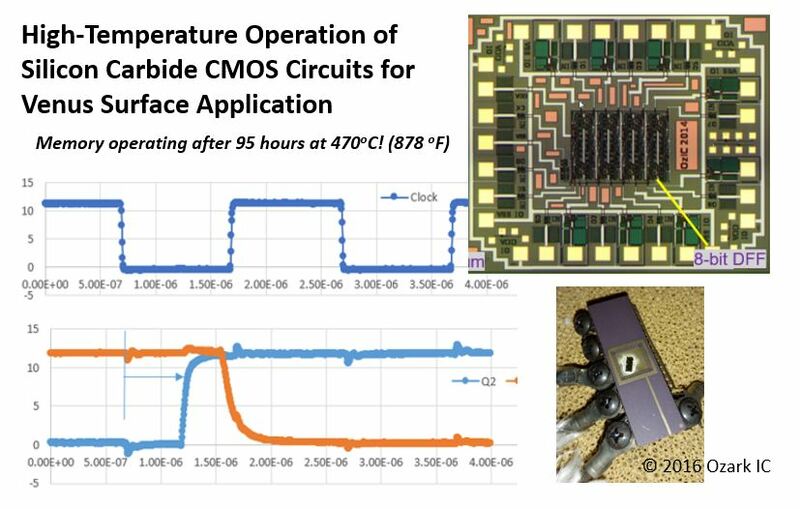 Ozark IC is a fabless semiconductor company that develops integrated circuits designed to operate in extreme environmental conditions. For several years, the company has been developing special electronics that will work on the 500°C Venus surface. “With this award, Ozark IC will now use its expertise and technologies to develop high-temperature data logging electronics for geothermal wells that can operate at 300-500°C for hours to years with little or no thermal insulation,” said Dr. Ian Getreu, director of business development and strategic partnerships for the company. A campaign to double access to electricity in sub-Saharan Africa just got a boost. Japan has joined Power Africa, an initiative President Obama announced in 2013. Japan has committed to bring 1,200 megawatts of power online. As part of its agreement, Japan will work with African governments to develop renewable geothermal power. More than 100 private-sector partners, host governments and multilateral organizations are participating in Power Africa. The goal is to help the estimated two out of three people in sub-Saharan Africa who currently lack electricity. Using steam from the earth to cultivate what the Mayans and Aztecs called the “food of the gods”. That’s what’s happening in the geothermal area of Tuscany (Italy) thanks to an agreement between Enel Green Power and the Consortium for the Development of Geothermal Areas (CoSviG), which brings tradition, local entrepreneurship and innovation together in one single project. Geothermal energy will be used to cultivate spirulina algae. On 13 January, in Larderello, Enel Green Power signed an “Agreement of collaboration for experimentation on geothermal resources applied to the cultivation of algae” with CoSviG: the two sides will put up 100,000 euros each towards the construction of a pilot plant, which will be built next to the Chiusdino geothermal plant, for the production of spirulina algae using geothermal energy. UK Businesses can now register their interest for the second Contracts for Difference (CfD) auction. The pre-application activity is for businesses that wish to apply for a CfD and will need to complete and submit a registration form, preferably before the application window opens. They can register via the Electricity Market Reform (EMR) Delivery Body website. Under the CfD, low carbon electricity generators are incentivised for the power they produce. Companies will be able to compete for an initial £290 million worth of contracts for renewable projects under the second round. It will support “less established” technologies, including offshore wind, anaerobic digestion, biomass with CHP, advanced conversion technologies, wave, tidal and geothermal energy. The Caribbean Development Bank (CDB) and the Inter-American Development Bank (IDB) have signed a memorandum of understanding (MOU) to strengthen their ongoing partnership in addressing the Caribbean's development priorities. Through the MOU, signed at the IDB's headquarters in Washington, D.C. on February 21, 2017, both institutions have renewed their commitment to collaborating on programmes and projects that contribute to sustainable economic development in the region. CDB and IDB presently collaborate on a number of initiatives, including in the areas of renewable energy and private sector development for micro, small and medium-sized enterprises. The Sustainable Energy Facility (SEF) for the Eastern Caribbean is one of these initiatives. Launched in October 2015, the US$42 million package includes loan, grant and contingently recoverable grant resources from the IDB, provided to CDB as the executing agency, which also committed US$30 million of its own resources. Most of the funding is for supporting geothermal energy development in five of the six Eastern Caribbean beneficiary countries under SEF: Antigua and Barbuda, Dominica, Grenada, St. Kitts and Nevis, St. Lucia, and St. Vincent and the Grenadines. 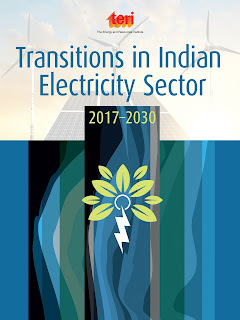 Current installed capacity and the capacity under construction would be able to meet India’s power demand till about 2026 and no new investments are likely to be made in coal-based power generation till that time, said a report released by The Energy and Resources Institute (TERI) on Monday. The report also estimates that beyond 2023-24, new power generation capacity could be all renewables, based on cost competitiveness of renewables as well as the ability of the grid to absorb large amounts of renewable energy together with battery-based balancing power. A news release published by Reuters suggests that Kobe Bussan Co. Ltd plans to dissolve its wholly owned subsidiary, an Oita-based geothermal electric power generation firm, effective in mid July. Amid the toxic political debate about the level of renewable energy, specifically wind and solar, that can be accommodated into the system, The Commonwealth Scientific and Industrial Research Organisation (CSIRO) energy division’s principal research scientist Paul Graham said there were no barriers to 100 per cent renewable energy, and lower levels could be easily absorbed. Four utilities led by plant operator Salt River Project have decided to shutter the coal-fired Navajo Generating Station (NGS) near Page, Ariz., by 2019. The 2,250 MW plant is the largest coal generator in the western United States. Competition from inexpensive natural gas generators means electricity from NGS is already more expensive than wholesale power prices, the utilities said in a release, a trend that's not expected to reverse in coming years. The decision is the second major coal shuttering announcement in less than a month. The deal announced this week allows the Navajo Nation or others to continue operating the plant beyond 2019, though the current group of owners will not be involved. In case you missed it, a recent investigative piece in the LA Times unearthed the shocking fact that California retail electricity prices are high, about 50% higher than the national average. The article’s main focus is on the fact that California has a lot more installed nameplate generation capacity then has historically been the norm. There are several causes identified in the piece. Deregulation of the market in the late 1990’s is pointed to as a culprit. Somewhat inconsistently, the construction of regulated, rate-based plants also takes much of the blame. One factor that was barely mentioned, however, was California’s renewable electricity policy. The historic St. Patrick's Cathedral in Manhattan has activated a geothermal plant — part of a series of environmentally friendly upgrades. The Archdiocese of New York said Tuesday that the geothermal plant is comprised of 10 wells — up to 2,200 feet deep — drilled along the north and south sides of the cathedral. The system is designed to harness clean, renewable power to regulate the temperature of the cathedral and adjoining buildings. The archdiocese and cathedral said they want to "lead by example" in choosing the cost-effective, eco-friendly power option. The cathedral's rector, Monsignor Robert T. Ritchie, says the church's mission includes "responsible stewardship of our natural resources." Despite the growing demand for clean sources of energy in order to meet the state’s renewable energy portfolio standard goal, which has propelled the development of solar and wind energy, others such as geothermal have been left behind. The high initial cost and the slow regulatory process to get plants permitted have caused California to consider importing power from other states even before investing in further development of geothermal energy. 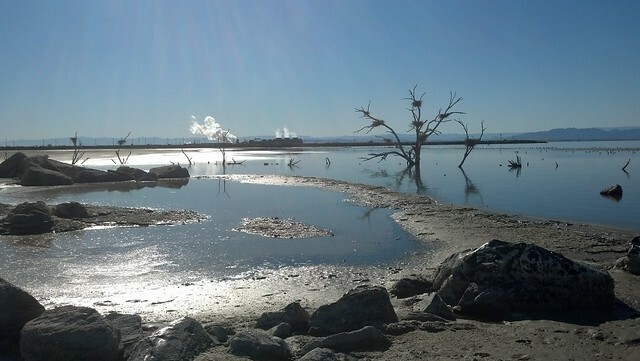 Now, a startup Australian firm wants to tap into the big potential for geothermal at the Salton Sea area by building a massive plant, the first in many years, thanks in part to a very different approach from what has been used in past development. There are three key aspects in which Controlled Thermal Resources differs from previous development size, pricing and partnership with a mineral extraction firm. A list of historical, current and proposed “deep” geothermal energy projects in the United Kingdom. The Southampton District Energy Scheme, Harbour Parade, Southampton, Hampshire SO15 1BA – Currently out of service awaiting a replacement pump. The Geothermal Association of Ireland has announced that it will host a one-day conference in Dublin on April 6th as part of this year’s Energy Show in the RDS. In this webinar, you will be introduced to a project funded by Geoscience BC and the Province of British Columbia that identified and evaluated Direct-use geothermal resources in B.C. You’ll learn what geothermal energy is and how B.C. communities can evaluate this cost-competitive and sustainable heat source. Geothermal heat can be used for natural hot spring areas, space conditioning, greenhouses, fish farming, breweries and more. The California Senate leader has introduced legislation that would require the Golden State to get 100% of its electricity from climate-friendly energy sources by 2045. That's a big step up from the state's current renewable energy mandate, 50% by 2030 — a target that's only been on the books for a year and a half, and that California is still a long way from meeting. De León's bill would require California to hit 50% renewable energy by 2025, five years sooner than under current law, and phase out fossil fuels entirely by 2045. It's not yet clear whether the Senate leader will move forward the proposal, which he introduced before the state's bill-filing deadline on Friday, almost certainly to serve as a placeholder for more detailed legislation that could be fleshed out later. Minister Liburd has now confirmed that after the feasibility studies, there is a geothermal resource on St. Kitts.